Stress Free let us resolve your issues. We come to you in your own home. Repairs completed in your home or office where possible. Free Quotes with NO hidden fees. Will not try to sell you something you don’t need. No Fix No Fee means No Risk. All repairs completed professionally and comes with a 3 month no quibble warranty. 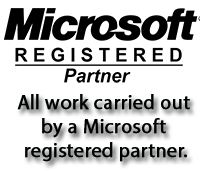 PC Repairs in Sheffield and the surrounding area is one of the main services we offer. 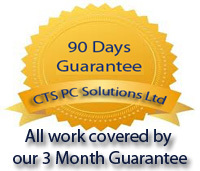 Over the years we have diagnosed and repaired thousands of PC related problems and have vast experience in this area. One thing we guarantee to all our clients unlike others is an honest diagnosis of the fault and a competitive upfront quote for repair. You cant turn on your PC, it just looks like it has no power ? Your PC may be making strange beeping noises when you try to turn it on ? Your PC may turn on but wont load up windows or is stuck in a boot loop ? Your PC turns on but a certain programme you need to use wont work ? Or your PC turns on but just don’t seem to work right ? Worried that your PC is getting old and don’t want to spend a lot on a repair? 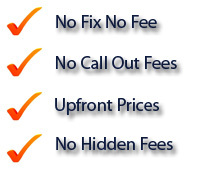 No need to worry, we don’t charge any call out fees and we offer FREE quotations. 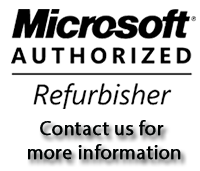 If we feel that your PC is beyond an economical repair then we will simply tell you and give you our recommendations. You would rather drop in the PC for repair instead of an on-site visit ? No problem your quite welcome to drop the faulty PC off at our workshop, all we ask is that you call first to arrange this. Some first time customers prefer this option as they want to ensure they are dealing with a business not a guy working from his kitchen table. All our clients can be rest assured that we are a fully registered UK business with a genuine registration number and are fully VAT registered, we also operate from business premises located in the South Yorkshire area.